Judas Priest‘s frontman Rob Halford was recently interviewed by RollingStone and asked about the latest song “Rock You All Around The World” that the heavy metal pioneers have made available for streaming from their two CD live concert at the Kemper Arena at Kansas City, Kansas, USA in 1986 during their Fuel For Life tour that will accompany the remastered release of the album Turbo. As it happened, though, the synth-heavy Turbo album became what Halford describes as “without a doubt, the most controversial album Priest ever made” because “it just had a different tone, texture, and vibe and atmosphere to anything else that we have ever done.” The group had been on a winning streak in the U.S. since 1980, when their British Steel album pushed them in all their studded-leather to the forefront of heavy metal with hits like “Breaking the Law” and “Living After Midnight.” Each subsequent record did better than the last; they even played to a reported crowd of nearly half a million headbangers at the US Festival in 1983. All it took to divide their fans was a synthesizer. Despite dismaying some hardline fans, the album was still a big hit, reaching Number 17 on the Billboard 200 and being certified platinum. You can read the rest of the article / interview with Halford at RollingStone. Turbo 30: Buy: https://LegacyRecordings.lnk.to/Turbo30AY!rya Official Store: https://lnk.to/Turbo30storeAY!rya About the album: Originally released in 1986, Turbo features all the hallmarks of classic Priest on tracks such as “Turbo Lover”, “Parental Guidance” and “Locked In”. Included on disc 2 and 3 of the CD reissue is Live in Kansas City, a live recording from the band’s 1986 Fuel For Life tour in support of Turbo. 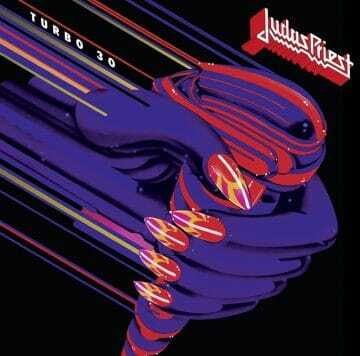 Turbo 30: Buy: https://LegacyRecordings.lnk.to/Turbo30AY!li Official Store: https://lnk.to/Turbo30storeAY!li About the album: Originally released in 1986, Turbo features all the hallmarks of classic Priest on tracks such as “Turbo Lover”, “ParentalGuidance” and “Locked In”. Included on disc 2 and 3 of the CD reissue is Live in Kansas City, a live recording from the band’s 1986 Fuel For Life tour in support of Turbo. Turbo 30: Buy: https://LegacyRecordings.lnk.to/Turbo30AY!oitc Official Store: https://lnk.to/Turbo30storeAY!oitc About the album: Originally released in 1986, Turbo features all the hallmarks of classic Priest on tracks such as “Turbo Lover”, “Parental Guidance” and “Locked In”. Included on disc 2 and 3 of the CD reissue is Live in Kansas City, a live recording from the band’s 1986 Fuel For Life tour in support of Turbo.